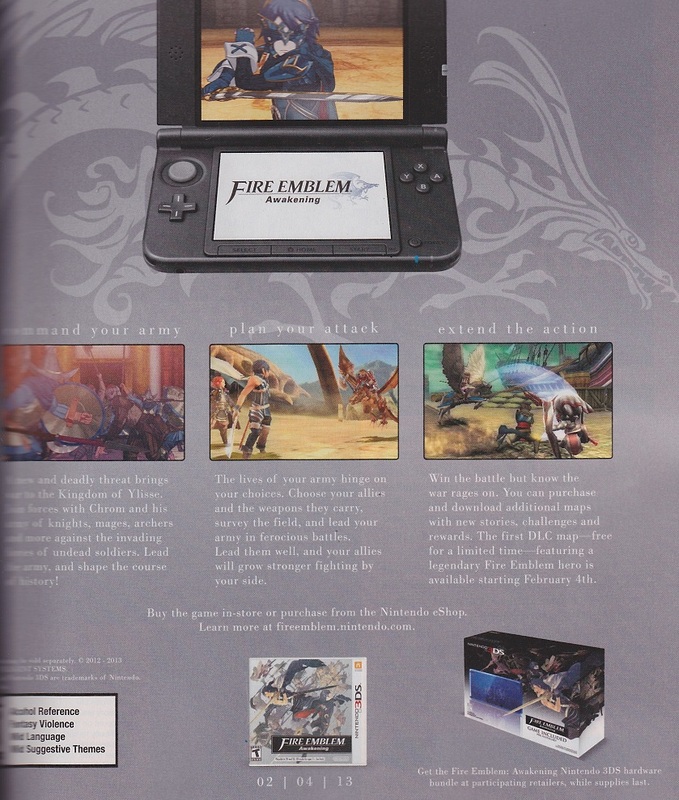 UPDATE: Fire Emblem: Awakening 3DS Bundle Listed, Launches on February 4th. 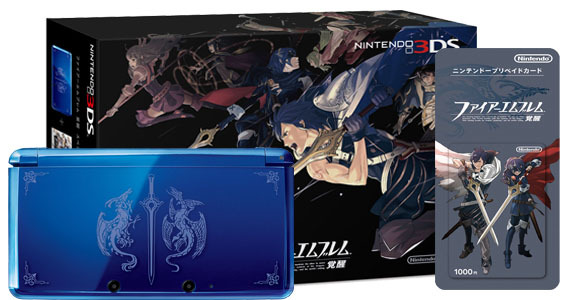 So, everyone remembers this Fire Emblem 3DS bundle from Japan released last year, right? And everyone remembers how Iwata kind of underestimated how much folks wanted it as well? I suppose Nintendo of America is making sure die-hard fans like me get exactly what they want…besides the game itself, that is. This image is rumored/all but confirmed to be featured in the latest issue of Game Informer. As soon as we received word on when and where this bundle is available, we’ll be sure to let you know. Rest assured, I’ll be scouring the Internet as vigilantly as possible. Considering the source of this image is apparently Game Informer, you can rest assured Gamestop will readily stock the bundle prior to the game’s release. And hey, I wonder if we still get the art book when we pre-order? A lot of people are curious as to whether or not this is a standard 3DS or a 3DS XL. From what information I can gather, this is the standard 3DS system, identical to the one released in Japan last year. I haven’t spotted any retail listings yet, but as soon as I do, I’ll update this article one final time! It generally takes retailers like Gamestop about two days after something’s been announced to receive relevant information in their system. 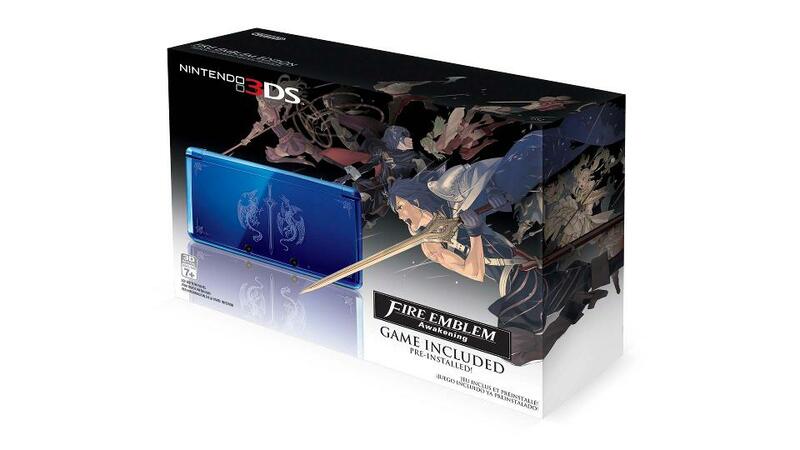 FINAL UPDATE: Alas, the Fire Emblem 3DS Bundle has appeared at Gamestop.com, and may or may not show up soon at other retailers. I can confirm that the bundle is available for pre-order at “nearly all” Gamestop locations. What I cannot confirm yet, is whether or not the art book that comes with a pre-order of the game itself is available in this bundle. I’ll be sure to keep you guys posted.